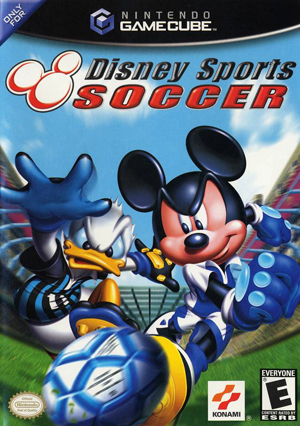 Disney Sports Soccer, known as Disney Sports Football in Europe, is a 2002 sports video game released by Konami. Disney Sports Soccer takes the fun of a neighborhood soccer game and adds your favorite Disney characters. In three different game modes, including a multiplayer mode, you can use magic, power-ups, and special moves to defeat your opponents. Up to four players can assume the role of Mickey Mouse, Minnie Mouse, Donald Duck, Goofy, or other Disney favorites, and they can compete in a variety of stadiums, including Eagle Summit. You can also exchange items between your Game Boy Advance and GameCube. The graph below charts the compatibility with Disney Sports Soccer since Dolphin's 2.0 release, listing revisions only where a compatibility change occurred. This page was last edited on 24 July 2018, at 23:31.